A mobile app is, undoubtedly an effective way to become visible and reach out to potential customers. The average time an American spends on mobile devices is continuously increasing. According to statistics, in 2015, US smartphone and tablet users spent an average of 3 hours and 5 minutes a day using mobile apps, up from 2 hours 51 minutes in 2014. In 2016, mobile device users spend 3 hours 15 minutes per day using apps. Now, television and radio advertising is no longer having the same impact on customers it did a few years back. Your potential customers are available on mobile devices and mobile apps take up a significant amount of their time in a day. So why shouldn’t you take advantage of that? Launching an app for your business can help you reach up to millions of people, which cannot be done otherwise. This is probably one of the most obvious reason why you must have a mobile app: your customers can check your catalogue out anytime, anywhere. While your store cannot remain open 24/7, your app can. So even while being on a train, or somewhere on vacation, or even in a different time zone, an app can ensure business services to your potential customers, which would not be possible with the non-digitized ways of doing business. An average person expects to operate everything directly from the mobile and when you’re not accessible, you lose your customers. Since your customers are always available on their smartphones, you have the chance to promote your brand, anytime you want. All the information you’d like to share with your customers - new products, special sales, promotions - is right on their mobile devices. Through push notifications you’re getting even closer to a direct interaction, and can easily remind customers about your products and services whenever it makes sense. A mobile application is an additional communication channel that gives you an opportunity to be in touch with your target audience 24/7. Having a mobile app makes brand marketing quite easy. A mobile app that has features your customers will enjoy, while at the same time is well branded and beautifully designed will make your customers remember you for a long time even after they have closed the application. Also, people tend to share a convenient, easy-to-use mobile application with their friends, colleagues, etc. Thus, brand awareness increases and you get more new customers. Having a mobile app will help you stand out from your competition since your competitors may have not yet developed an app, and even if they have, there’s always room for improvement. Another important reason you should consider building a mobile app for your business is customer loyalty. With all the amount of advertising surrounding us losing our impact on customers can easily happen. Having an app will ensure a true connection with your consumers, therefore creating loyalty towards your brand. Communication is crucial to successful business. A mobile application makes the process of interaction with customers a lot easier. You will be able to get quick feedback about anything: company, service or product. Now you can get customer feedback every time a customer interacts with your app. Analytics is essential to efficient marketing. A mobile application will allow business owners to collect a lot of information about what customers prefer, how they spend money and time, that can be used for analyzing the collected data and therefore solve many business tasks related to the management processes, logistics, monitoring, etc. Thus, they will improve not only the efficiency of the company, but also save financial and human resources. 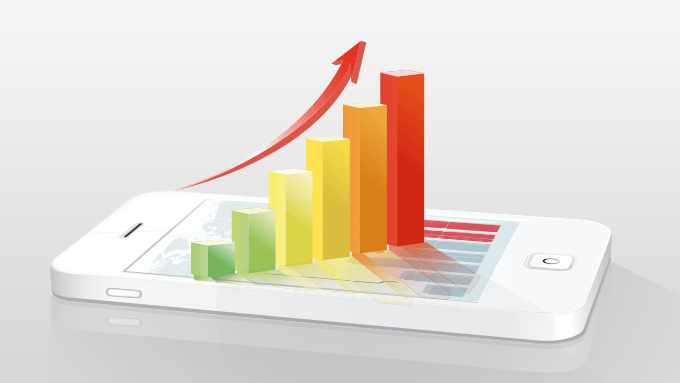 Mobile application can increase sales because it serves as a means of attracting and retaining customers. Thus, with the help of push-notifications about promotions, discounts, bonuses, it is possible to motivate customers to make purchases from you. They can be sent to an unlimited number of clients or those, who are in a certain area, let's say near your store, restaurant or service center. Using ads and sponsorship methods, your app can earn money from a third party. Also, some apps offer in app purchases, which is another way to make you earn through the mobile application. However, what is important to understand is that monetization of apps should not be done over the cost of an app user’s convenience. Sponsorship and ads should be included in the app in such a way that it affects the user to its least. So these are just some of the reasons why having an app for your business is a good idea. Every business owner should be able to take advantage of the continuously evolving world of mobile communication. Why would you miss out on an opportunity to reach to quarter of the earth’s population?